You’ve chosen your wedding date, found the perfect venue in Warwickshire and you’re now thinking about those special touches to make your wedding day one to remember. Organising a wedding is one of the biggest (and dare I say it, most stressful!) things you will have to do in your life, and that’s why you need to find a wedding singer that will send you in to married life in style! Your evening reception is where the celebrations really begin and there are lots of Warwickshire wedding singers and cover bands available for hire. So how exactly do you go about finding the perfect one for you? Well, how about finding out more about wedding swing singer, William May? I have been performing as a wedding singer in Warwickshire for many years and have been fortunate enough to play at some incredible weddings and to share in the celebrations of special couples across the region. I love entertaining the brides, grooms and wedding guests of Warwickshire with my swing covers and up-beat tracks, and I guarantee a performance that will entertain everyone at your party. What is a wedding singer & why should I book William May? Well, wedding singers, cover bands and party bands in Warwickshire have one thing in common; they perform your favourite songs, and some extra hits for good measure, for you and your wedding party to enjoy until the early hours. William May is different to all the other wedding singers for hire in Warwickshire though. I am a Rat Pack singer who combines classic covers by Nat King Cole and Rat Pack members including Frank Sinatra with contemporary hits by Robbie Williams to Michael Buble, to get your guests dancing until the lights go up. I perform with the best backing tracks that are all produced to the original arrangements. There is something for everyone in my set. William May performs at around 100 weddings in Warwickshire each year and whilst I love all the songs I play, I prefer the bride and groom to send me their requests (and non-requests!) before the big day arrives, so I can fill their celebration with songs that are special to them. I also take requests from guests on the night and can also provide a DJ option to cover all the entertainment for your wedding. With years of experience as a wedding singer in Warwickshire, I’m delighted to have been the wedding singer of choice for so many couples in the region. You can read their reviews on my website. I’m proud to be known for being entertaining, passionate about what I do, and professional. I think it’s the duty of the wedding singer to be ready and waiting to get the party started when everyone arrives. I promise to do just that, but also go above and beyond to ensure that newlyweds and their guests have a fabulous time from beginning to end. Throughout my career, I have been fortunate to perform and work with some amazing venues in Warwickshire including the luxurious and beautiful Ardencote Manor Hotel, the historic Honiley Court Hotel, the magnificent Brownsover Hall and the timeless surroundings of Dunchurch Park. I can adapt my performance, sound and lighting to suit the grandest of venues or the most intimate of settings across the region. Nothing is too much to ask. I have also performed at special venues in the surrounding area, including Menzies Welcombe Hotel in Stratford-upon-Avon, the Saxon Mill in Guy’s Cliffe, Warwick House near Leamington Spa, Chesford Grange Hotel near Leamington Spa and Bosworth Hall Hotel & Spa, Billesley Manor Hotel, Macdonald Ansty Hall and Ettington Park Hotel. If you think I’m the kind of Warwickshire wedding singer that you’ve been looking for then please do get in touch. You can simply fill out the form on my website to see the dates that I am available. Alternatively, you can get in touch with Alive Network (my agents) with any queries and to find out more information. As with many Warwickshire wedding singers, I will bring my own equipment to your wedding reception, including the PA, all the lighting you will need to make your venue look stunning and of course, my stage attire. I also DJ and am always very happy to do this – again, the more requests the better! It’s also a great idea to have a stage so that everyone in your venue can see the performance (I appreciate this isn’t always possible though). For any enquiries about booking me as a DJ or about staging, please contact Alive Network. I appreciate it if you can provide a comfy room with a full length mirror (not just a toilet!) and a lock where I can freshen up and store my belongings during the evening. Water and free soft drinks are also gratefully received too. It’s really helpful to have a point of contact for when I arrive and if someone from the venue can brief me about the venue that’s great – it’s helps me set things up a lot quicker. As with all great things, wedding receptions have to come to an end eventually, so it’s well worth making it run as smoothly as possible (nominate someone to watch the clock so you don’t have to!). Of course I am delighted to play for longer for a small cost but it’s always dependent on the venue and any council restrictions, so it’s well worth checking this out in advance. How do I book William May for my wedding? If you would like to dance to William May on your special day then please do get the date in my diary asap! 1. Add your details to the form on my website. 2. A list of my available dates should pop up – hopefully yours is on there but if not, please do try again. 3. If you’ve found the right date and the cost is what you are looking for then suits you and budget, then make an enquiry. 4. Make your quote personal to you by filling in the optional details. 5. Then add your personal details and submit. 6. Alive Network will contact you as soon as possible about your booking. 7. You can also call them anytime from 9am – 5pm. 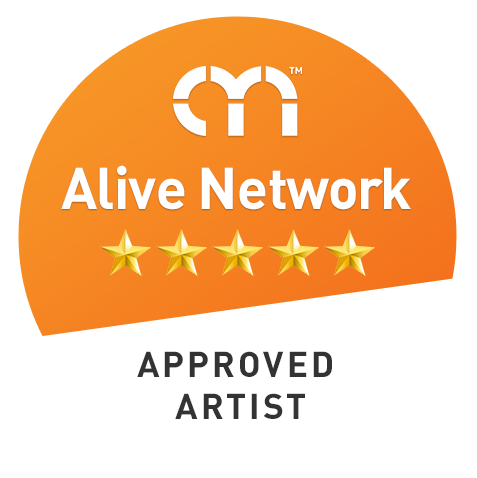 Alive Network are my agents and offer an amazing and personal service to all their customers – they truly are one of the best entertainment agencies in the country and are very happy to help with all your questions about William May. Once you have made an enquiry and better still, made your booking for your big day, a member of the team will look after your booking and is available to answer all your questions right up until the day. Your booking is also protected with Alive Network and all your paperwork and payment is settled before your reception. Please get in touch today if you are interested in booking William May as your Warwickshire wedding singer – I hope to celebrate with you and your wedding guests very soon.